My bags? My bank? A mess! I'll usually wake up early one day a week (430 am) and decide its bag and bag day. While I can only get 2-3 toons done in this time, it really helps. Thank God for specialized gem and enchanting bags! My shammy would be lost with out it. 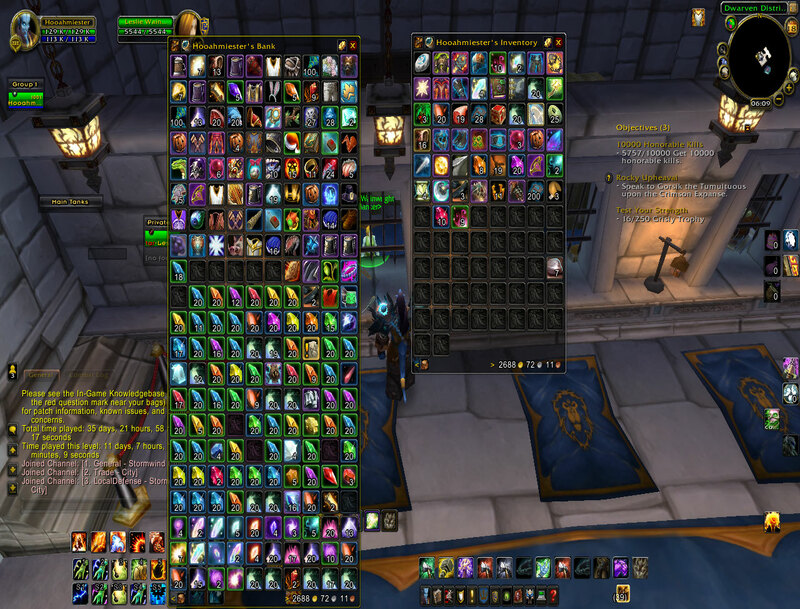 My lock still has 16 slot bags in her bank, so I need to fix that as well. Next expansion I think we will see up to 30 slot bags perhaps, but I am thinking that will still not be enough for some people. Will it be for you? 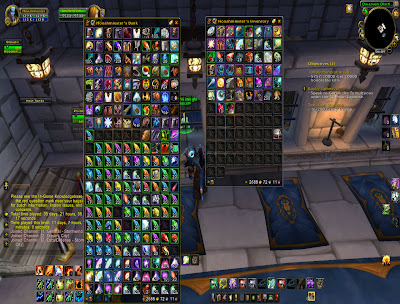 Note - added screenie of my shammy's bags. This was AFTER 45 mins of cleanup. My banks are always a mess, same goes for my bags. I should really go through it and sort them out. Thanks Antlergirl. It takes me 30-45 mins per toon to sort things out. I took 45 mins this morning to make this happen. Extra gems were shipped off to bank alt on 2nd account.